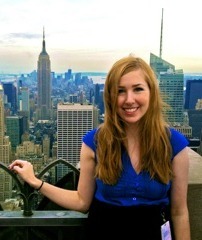 Sarah Coffey is a senior at Drake University originally from Naperville, Illinois. Sarah has pursued publication design by designing for Drake University Honors Magazine for the past two years. She also designed posters extensively as a Public Relations chair on last year’s Drake’s Student Activities Board. Sarah’s strong interest in social media lead her to a social media internship with NBC News in New York this past summer. She will be using her design skills at Meredith as a design apprentice for WOOD Magazine.